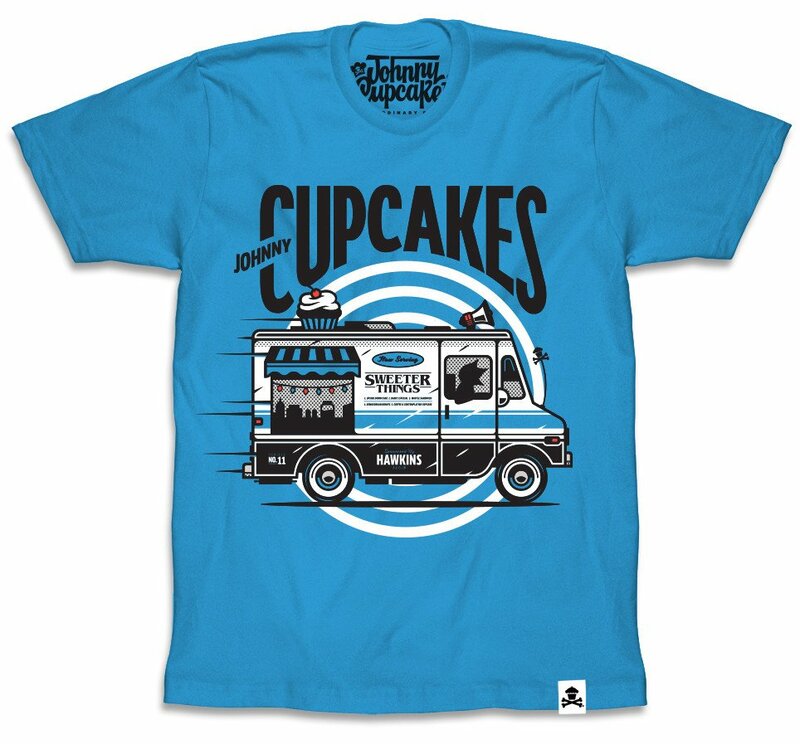 This week Johnny Cupcakes released an exciting second batch of t-shirts inspired by the hit Netflix television series, Stranger Things!!! The Blot’s especially excited about the two Big Kid tees, which feature Johnny Cupcakes’ beloved mascot dressed up as Dustin and Barb. How can you not want Big Kid Babs tee!?! The Stranger Things x Johnny Cupcakes T-Shirt Collection Batch #2 is currently available for purchase at the JC online store. All three designs are available in guys and girls styles, sizes S-XXXL, for $35.99 each.